In spite of some technical inaccuracies, the article “Exit the Dragon? Kung Fu, once central to Hong Kong life, is waning” (Charlotte Yang, The New York Times, August 22, 2016) describes the profound – not to say epochal – social, economical and cultural changes I recently found returning to Hong Kong 20 years later. From the Lantau airport to the new creative dimsum recipes, from the spread of Korean fashion to the gigantic shopping malls grown everywhere, Hong Kong is not anymore the town I left in the Nineties. Several Hong Kong peculiarities are “exiting the Dragon” – the street markets, the smells, the tea, the shops, the atmosphere – no surprise that Chinese kung fu is “exiting”, too. The words of brother Che Kong Mak reported in the article describe most of the martial communities in Hong Kong. The new generations show indifference for a tradition that never felt the need to reinvent itself, unlike the Japanese and Korean martial arts, still active and wealthy. 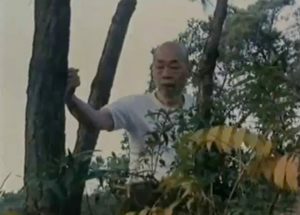 The last big thing in the Southern Chinese martial world dates from 1900, when brilliant masters such as Wong Fei Hung and Ip Man contaminated the ancient traditions with a modern scientific approach, adding the spice of some (primitive yet effective) marketing. An extraordinary effort of creativity followed thus spoiled by a century of refrigeration. 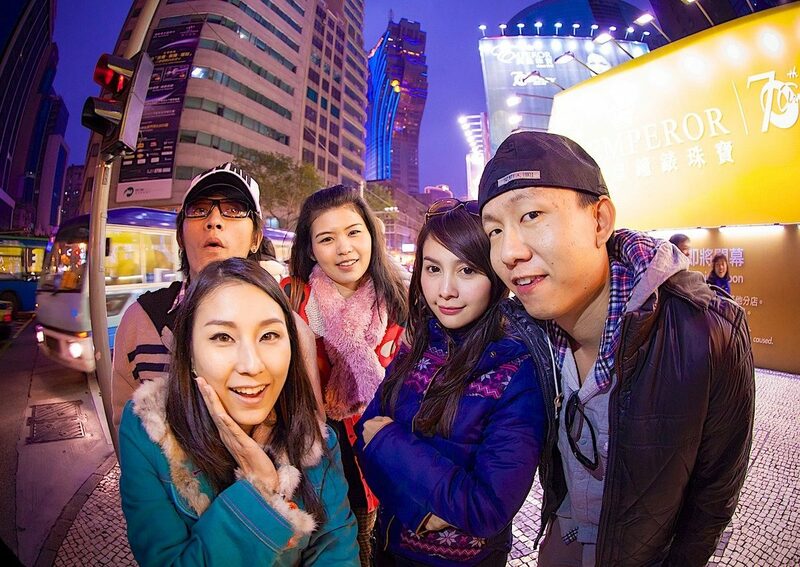 The Hong Kong Millennials are avid consumers, they like and need money, they spend most of their wake time working or studying to be able to get a good job. In their limited free time they run an active social life, enjoy Japanese food, Korean fashion, European cars. No wonder they do not feel any appeal in keeping the horse stance for hours in a shabby kung fu gym, drinking po-lei and enjoying the advices of the si-hings, as their fathers did in the Seventies. Let’s be realistic: Chinese kung fu can still be exotic and appealing for us Westerners, but for today’s evolved Hong Kong people is just boring, somehow paltry, dusty old stuff. No more fights on the roofs, wooden dummies, spears and swords: today’s battles are fought on game consoles, hi-tech fitness machines, stock rates, sales targets. But fortunately, in spite of their presumption that MMA is the ultimate fighting method, the Westerners still have a vivid curiosity and a (seldom admitted) respect for the Chinese martial tradition. This is a business opportunity that has been noticed by the smarter schools and masters, who have set themselves up to take advantage of it. Their strategy has been turning a once minimalist and humble world into a complex structure, marketing oriented, based on levels, manuals, colored belts, multimedia, degrees, grandmasters, masters, assistant-masters, etcetera etcetera etcetera. 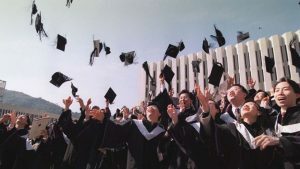 Where a legend like Chan Hon Chung felt fully repaid when a student was eager to learn, the masters of the new Millennium have pricelists where the most advanced forms can command up to five digits sums. And Mainland China cloned this idea on steroids, to the point of redeeming the once banned martial arts, reviving a release 2.0 of the Shaolin Temple & monks to satisfy fantasies and expectations of the Western martial aficionados. This appears to be the only way to hand down a precious Chinese heritage otherwise bound and that should not scandalize us kung fu freaks. The martial arts have always been blended with money in the past, so it’s perfectly kosher if they they still are nowadays. Link to the article “Exit the Dragon? 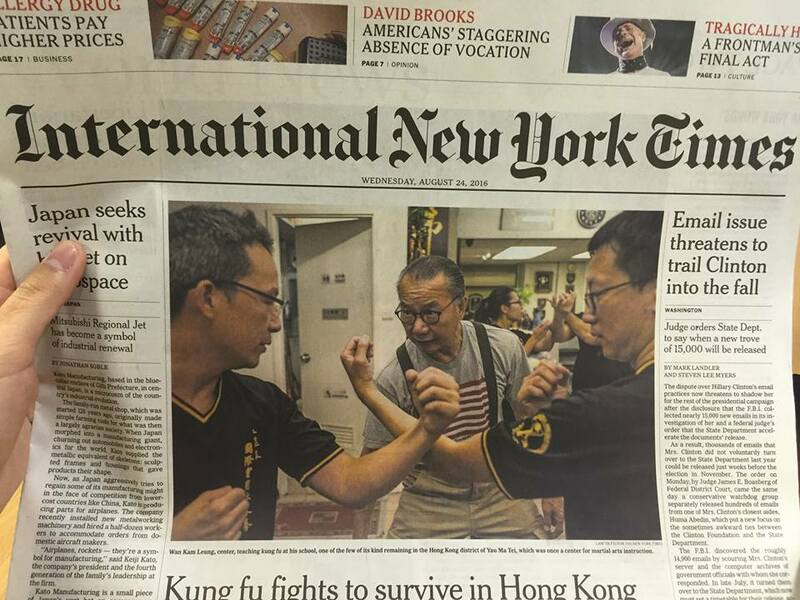 Kung Fu, once central to Hong Kong life, is waning” (Charlotte Yang, The New York Times, August 22, 2016).